As you get older, guess what? Your arteries also get older. The technical word for this is vascular aging. You already know that regular exercise, healthy eating, nutritional supplements, hormone replacement, and a healthy lifestyle are the foundation for slowing aging in general. And these measures are also the key to vascular health. 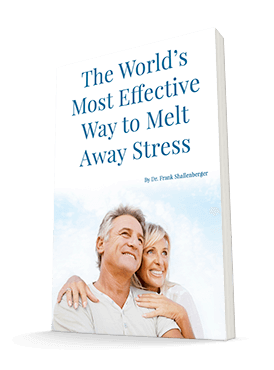 But what if there was another way to improve your vascular health and circulation? And what if that other way was a delicious treat that almost everybody loves to eat? Most people think that the most significant problem that happens with their arteries and circulation as they get older is the formation of plaque called atherosclerosis. But there's a lot more to vascular aging than just plaque formation. In fact, atherosclerosis may not even be the number one problem. According to a recent review article, the mechanisms underlying vascular aging "involve all segments of the arterial vascular system." The other issues are increased vascular stiffness, endothelial dysfunction, and systolic hypertension. Vascular stiffness is just as it sounds. The arteries lose their flexibility and elasticity and become stiff and hard. Blood does not flow well through stiff arteries. The stiffness of the arteries can be measured in a simple test called pulse wave velocity or PWV. I have talked about PWV before. We have been measuring it in the clinic for years. As the arteries become stiff, the PWV goes up. The higher it goes, the stiffer the arteries are. Increasing PWV is a hallmark of vascular aging. And as the PWV goes up, the body compensates for the stiff arteries by increasing the systolic (upper number) blood pressure. Remember this PWV connection because I'm going to come back to it. Endothelial dysfunction refers to the ability of the arteries, especially the small arterie,s to dilate or expand. 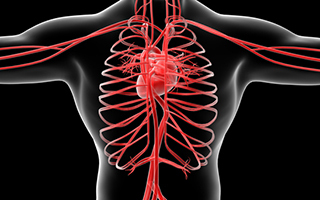 When the body needs more circulation, the arteries can provide more by dilating and becoming wider. This allows more blood to be delivered. The technical name for this is flow-mediated vasodilatation or FMD. But what if they can't dilate that well? In that case, the FMD will decrease and, just like with a rising PWV, the body will compensate for that by increasing the systolic blood pressure. So like PWV, FMD is a hallmark of vascular aging. And here's the kicker. When the systolic blood pressure goes up in response to the changes in PWV and FMD, it makes the arteries stiffer and it all gets even worse. It becomes a vicious cycle. So remember this FMD connection because I'm going to come back to that as well. The authors of a brand new study on vascular aging start off their paper by noting that, "Regular cocoa flavanol [cocoa flavanol is found in chocolate] intake can improve vascular function in healthy young and elderly at-risk individuals." And then they go on to say that although the studies point this out, we still don't know how the chocolate works its effects. So to find out, they enlisted 22 men younger than 35 and 20 men between the ages of 50-80. All of them were healthy, non-smokers, and had no history, signs, or symptoms of cardiovascular disease. They gave half of these men either a chocolate drink containing 450 mg of cocoa flavanol twice a day for two weeks or a placebo drink. Before the study started and after the two weeks, they measured the FMD in each of the men. They also measured their PWV. Here's what happened. In the young chocolate group, the FMD improved 25%. And in the old guys, it improved 28%. Keep in mind that this is from eating chocolate! And not only did the FMD improve, so did the PWV and the blood pressures. Here's what the authors of the study had to say, "Cocoa flavanol [chocolate] intake reverses the age-related burden of cardiovascular risk in healthy elderly, highlighting the potential of dietary flavanols [chocolate] to maintain cardiovascular health." So how much chocolate do you have to eat to experience all these effects? Typically, dark chocolate contains the most cacao flavanols. So 3.5 ounces twice a day of a high-quality dark chocolate should do it. Enjoy! Heiss C, Sansone R, et al. Impact of cocoa flavanol intake on age-dependent vascular stiffness in healthy men: a randomized, controlled, double-masked trial. Age (Dordr). 2015 Jun;37(3):9794.